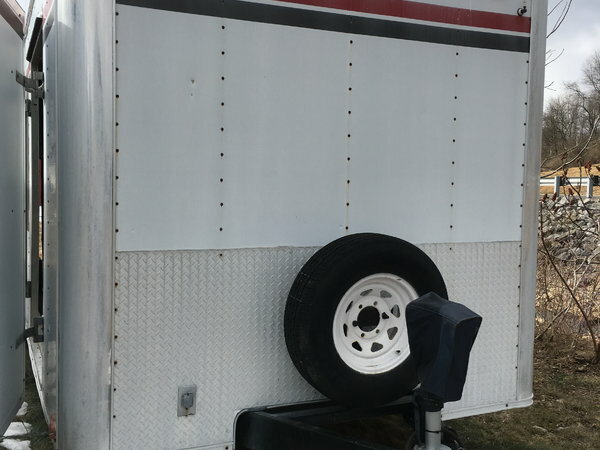 24' X 86" enclosed trailer. Twin torsion axles with new tires and mounted spare. 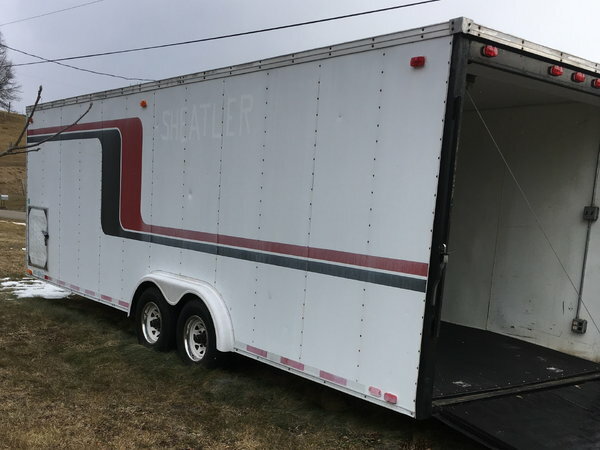 Trailer has beaver tail with fold down flap, rubber nonskid floor, finished walls, with big side door and generator door. 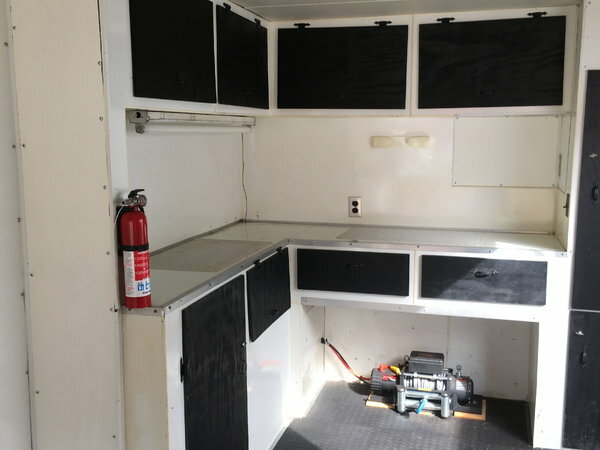 "L" shaped workbench with drawers and storage, overhead cabinets, and lighted closet. 110v fluorescent lights, (2) flood lights and 4 receptacles. Trailer includes new winch, generator, break away battery and electric tongue jack. Was used to haul 56 Chevy and is well suited for an altered, dragster, or multiple Jr. Dragsters and support vehicle.